Datum is the UK's leading monitoring management specialists for the rail network. Datum provide a fully comprehensive range of products and services to the construction sector. Datum is a leading provider of monitoring and survey services to the mining sector. Datum has provided specialist support across the UK energy industry. Datum’s core business is the evaluation of critical infrastructure assets. Datum provide a range of services to the UK utility sector. 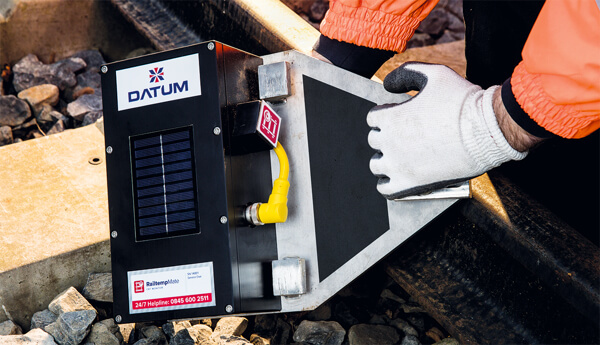 Datum monitor and test a wide range of transportation assets multiple sectors. Datum's environmental monitoring solutions provide the highest levels of accuracy and control. Datum is one of Europe’s largest monitoring specialists and has developed a reputation for excellence. Quality, versatility and excellence are values that have enabled Datum to develop a wide range of services and products, across multiple sectors and industries. Datum’s highly skilled, hugely motivated and experienced team consistently deliver technically advanced systems that deliver solutions to multiple industry sectors. Datum exceed expectations, enhance reputations and protect the interests of its clients. Our ethic is simple: to set new industry standards, to be the best. Monitoring and measuring solutions for engineering assets and infrastructure for a variety of sectors. We represent the very best in research, design and engineering, developing ground-breaking products. We provide bespoke software solutions for clients who need data they can rely on, when they need it.